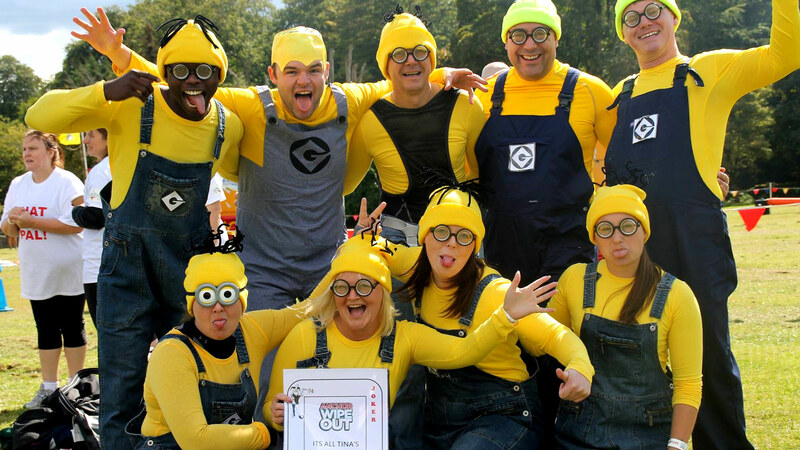 For charity fundraising, family fun days, team building events, corporate entertainment, schools and youth events. 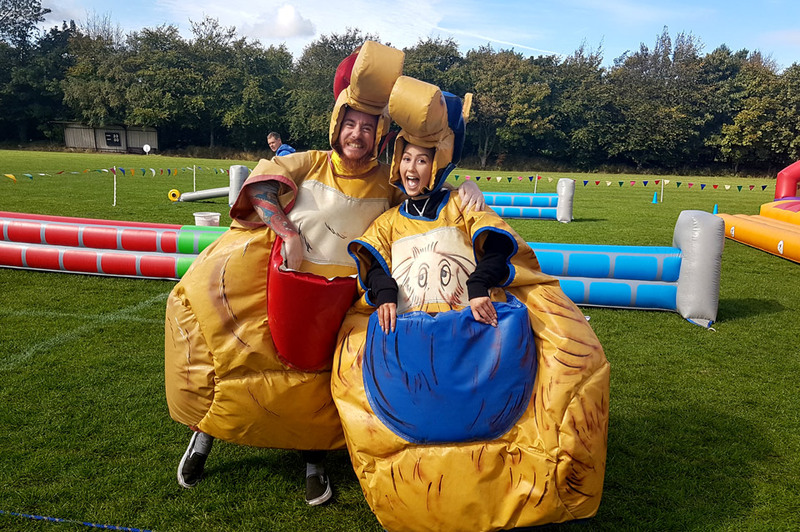 Knockout Challenge offers great ‘It’s A Knockout’ games for town & village shows, charity fundraising events, company family days, team building events, corporate entertainment, family fun days and schools & youth events. 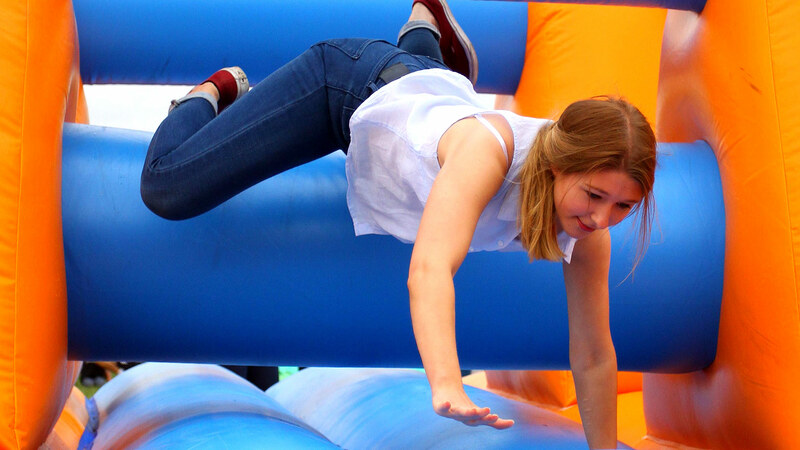 “It’s a Knockout” fun and games for events. 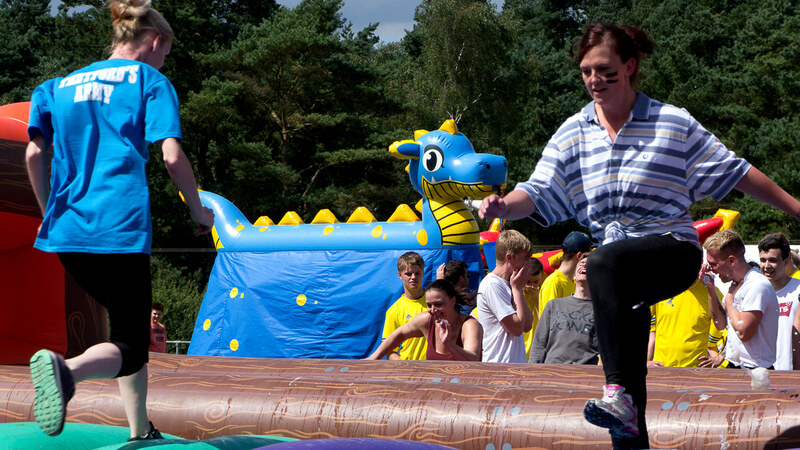 An ‘It’s A Knockout’ from Knockout Challenge will make your event shine for all for the right reasons. 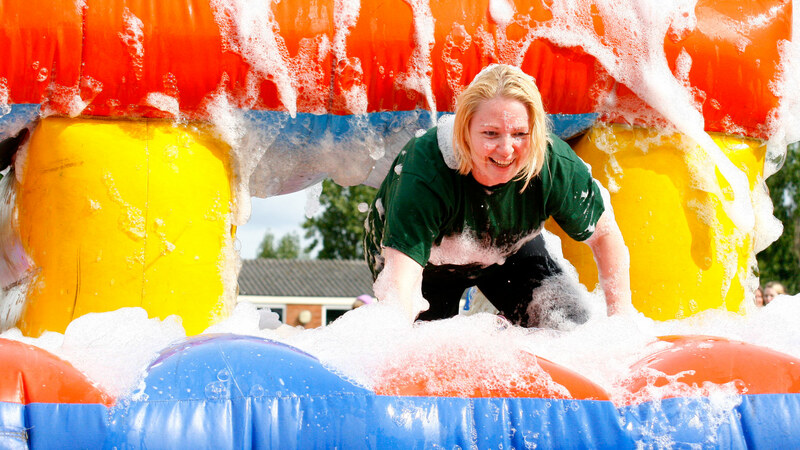 Dressing up games, colourful inflatable obstacles, games that use bubbles, foam & water, all run in a thrilling atmosphere! 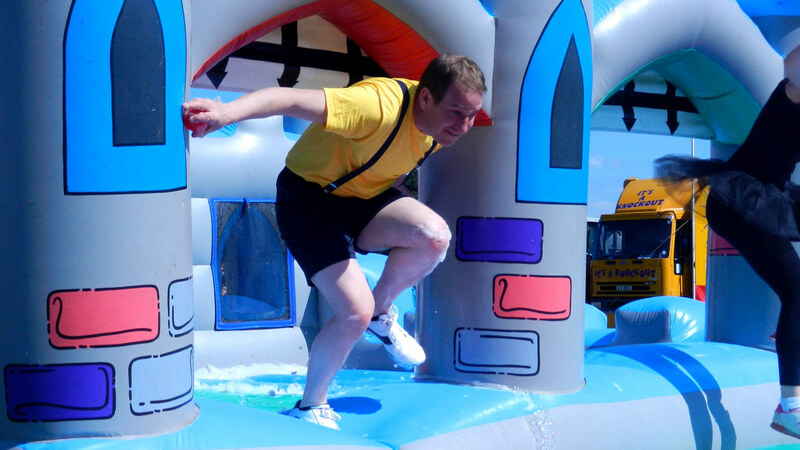 From 50 competitors to two thousand, we have an ‘It’s A Knockout’ games hire package ideal for your event. 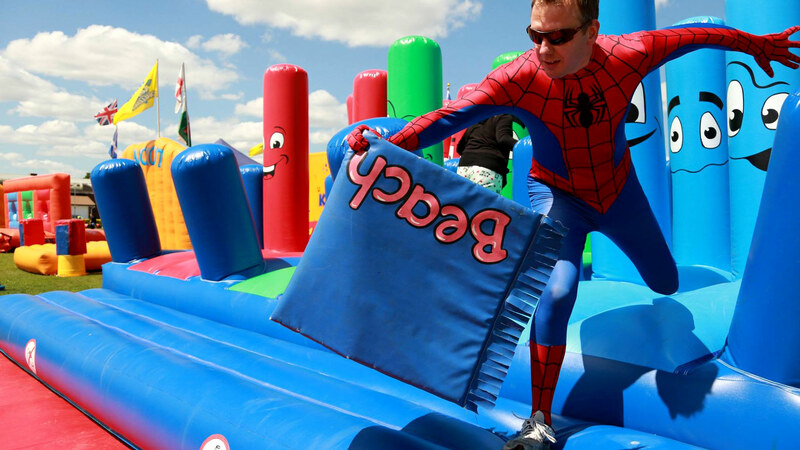 We have grouped our games into packages, each suitable for different types and scales of event. 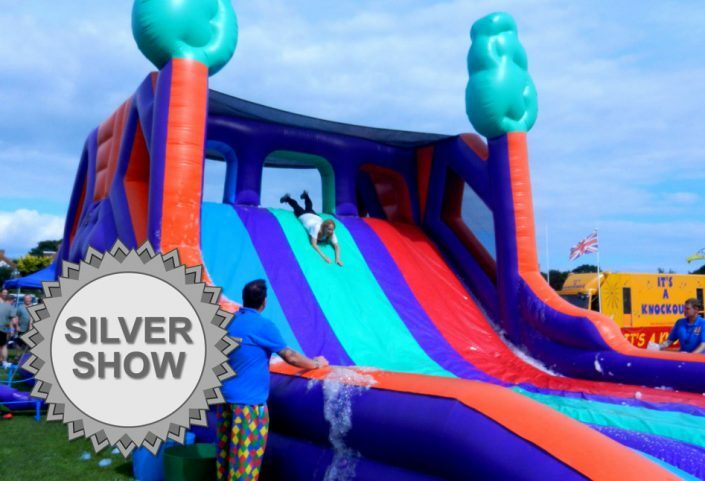 From our Mini Knockout which is suitable for small groups of up to 50 people, right up to our Gold Show, which can handle up to 2,000 people in a day, we have an ‘It’s a Knockout’ ideal for your event. With lots of fun, interaction, cheering (and booing! 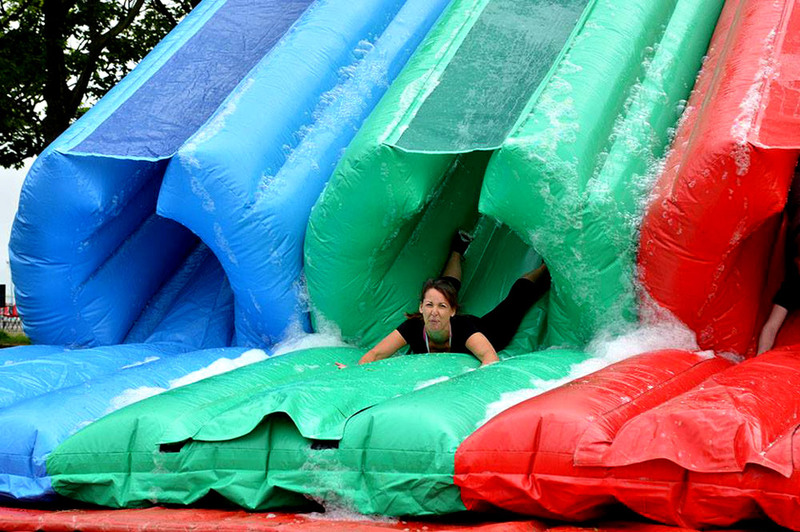 ), thrills, spills and water, Knockout Challenge “It’s A Knockout” is a must-book for any participation event. Just check out Testimonials Page to see why! REMEMBER….When comparing the market for Knockouts, all are definitely not equal in quality and value. Don’t get caught out. Our Testimonials Page gives you peace of mind that your event is in safe and professional hands with us. 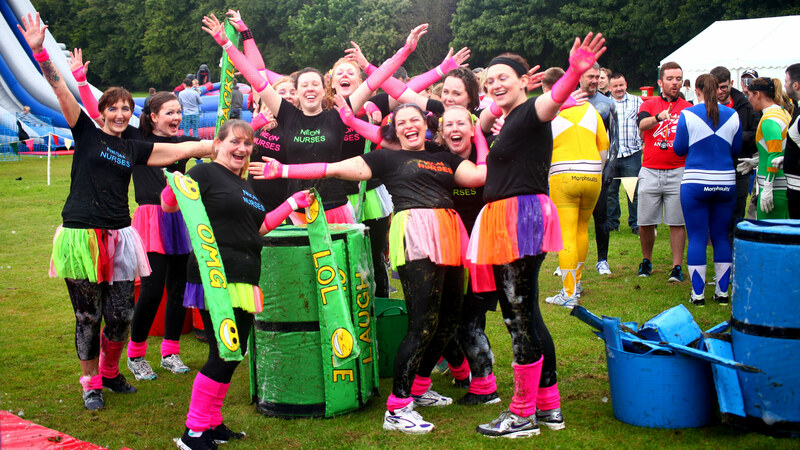 Our games are ideal for large groups. Schools, youth camps, Scouts/Guides, we can easily cope with two thousand children (or more) a day. 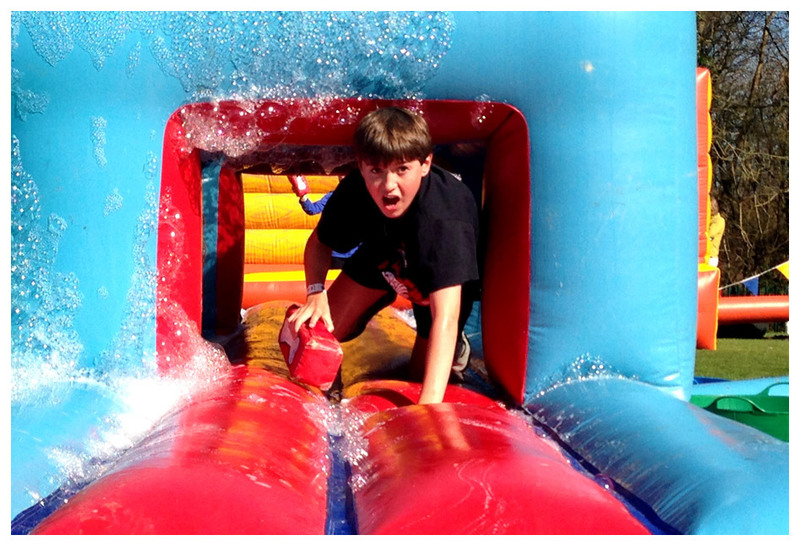 They’ll love our inflatable & adrenaline games, and we’ve got lots to keep them amused and entertained. 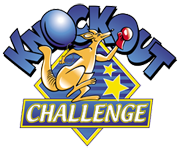 See our Schools & Youth Knockouts page for details. 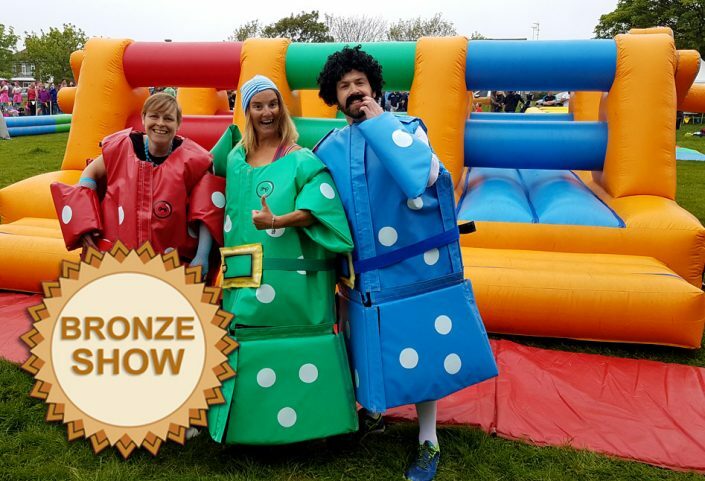 Our It’s A Knockouts are ideal for charity fundraising and public events such as town & village shows. 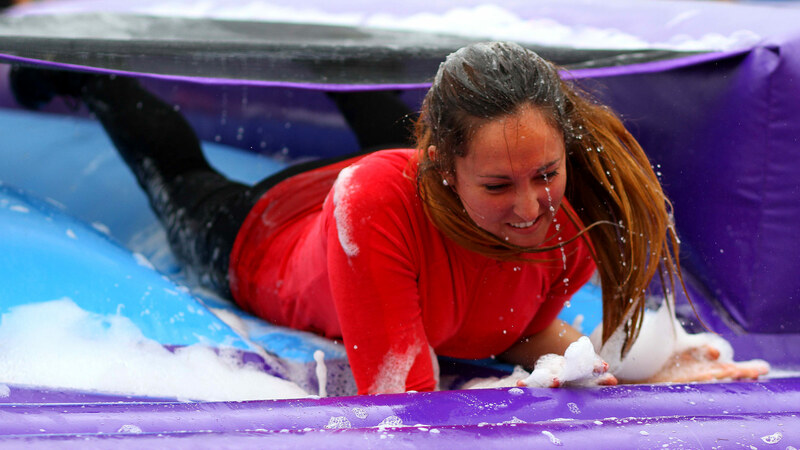 Invite companies etc to enter teams, who all pay or raise a “sponsorship” to take part. Please go to our Charities Page for details. 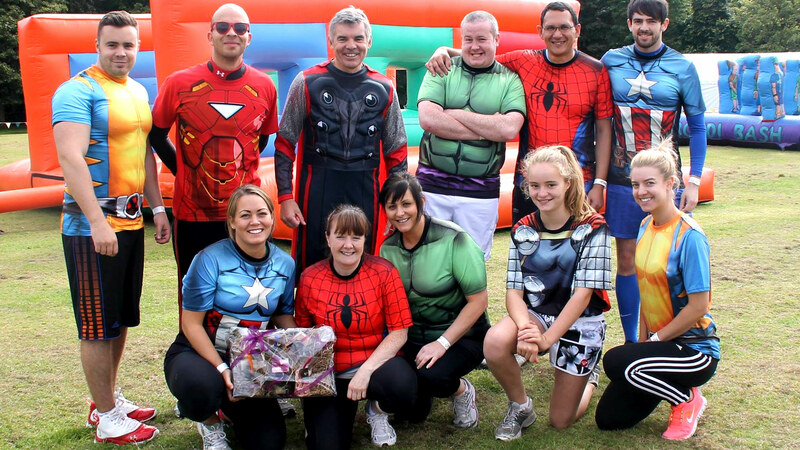 Plus we’ll even put your details on our Events Page and Blog or mention your event in our social media to help you enlist teams. We are the only Knockout provider to do this. (We also have sample sponsorship forms available). 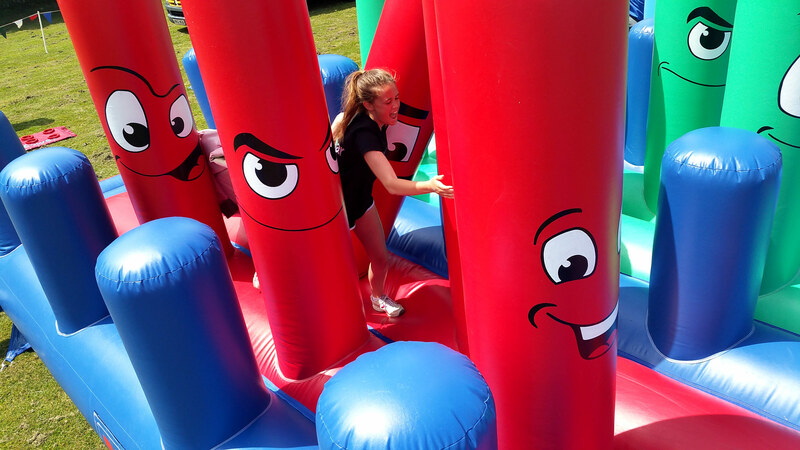 Our colourful & professional games add an ideal centrepiece to events. 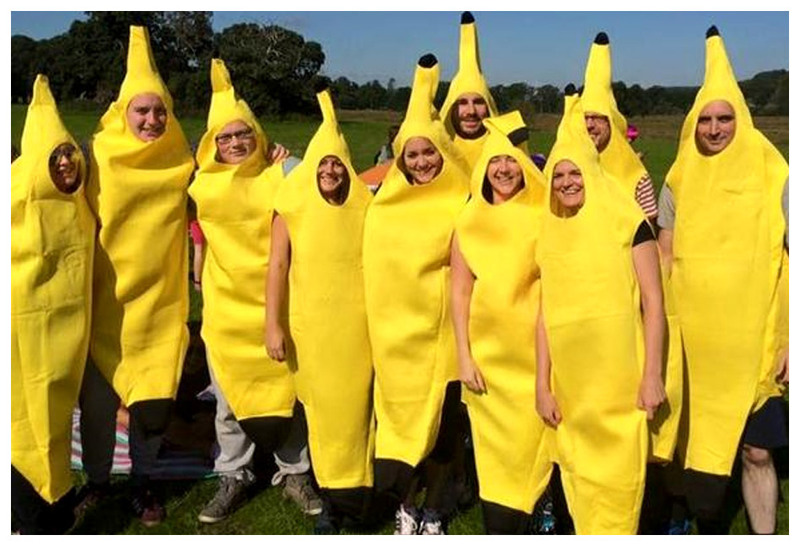 For company days, different departments can enter teams for some friendly rivalry. To add peace of mind, all our equipment is safety checked and we conform to HSG195 and the recently updated guidance from the H.S.E., meaning you have chosen the right company to do the best job for you. 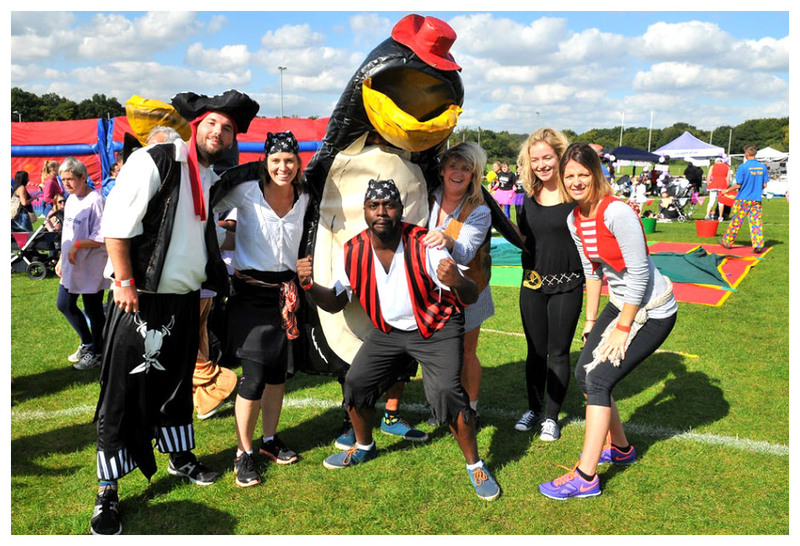 Small groups can enter into the charity, public and community type events booked with us. Go to our Events Page to see a list of such dates.